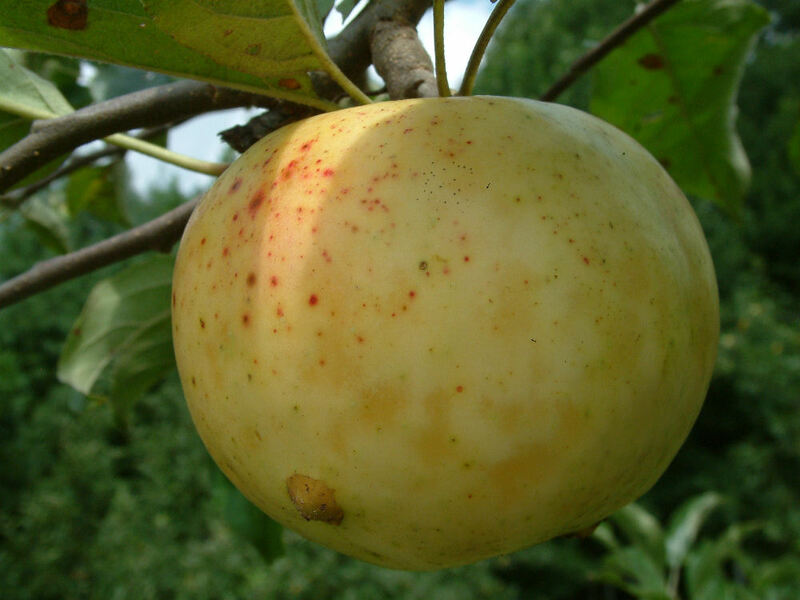 Primate is a high-quality apple which originated about 1840 on the farm of Calvin D. Bingham of Camillus, New York. 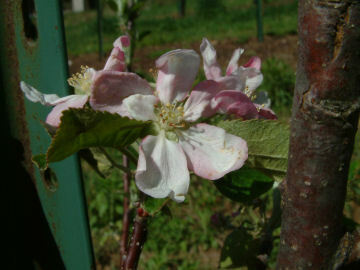 It is an ideal apple for the home orchard as it ripens over a period of several weeks, extending the harvest for the home grower. The fruit is medium-sized and frequently ribbed. The thin, yellow skin is often blushed with red on the sunny side. The tender white flesh is aromatic, crisp, and juicy. Ripens July to September.